I lived here during graduate school. It was a mid-century modern, designed by an architect who still lived in the neighborhood. The inside was a 1953 time capsule, which was fine by me, but a similar "preservation" method had not been kind to the exterior. Over two summers, I scraped and sanded, puttied and painted, and dug and planted. I think I met 90% of my neighbors while I was standing on a ladder with paint in my hair. 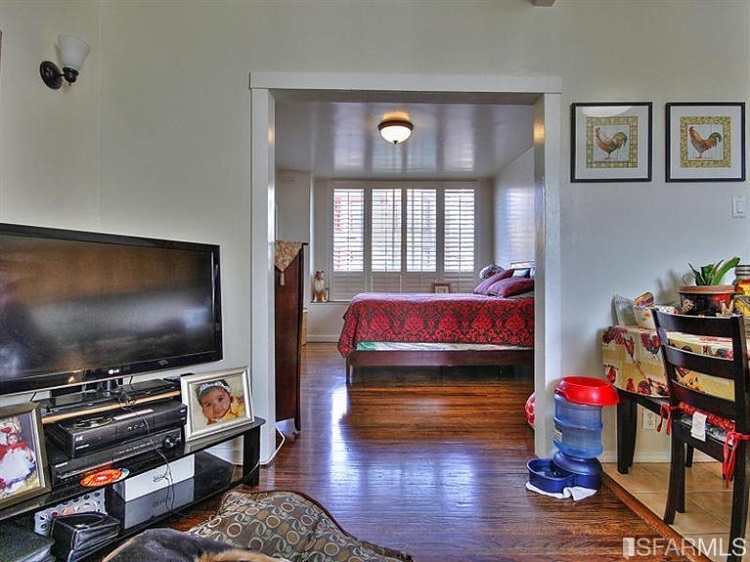 After living in San Jose for a year, I took the plunge into the real estate madness that is San Francisco, and bought the absolute smallest and cheapest house on the market. It was once actually the garage/carriage house for the building in front of it, but was subdivided into its own lot and made into a tiny house in the 1940's. The upstairs was divided into three (three!) little rooms, the stairwell was claustrophobic and dimly lit, and nothing was straight, not even the kitchen cabinets. I designed a new layout, and worked with an architect, contractor, and structural engineer for the big stuff that required city inspections, including seismic upgrades and the new kitchen. I did a good portion of the demolition, and handled the custom finish work, including the railings, the built-in desk, the trim work on the kitchen peninsula, and the shelving under the bay window.